Like countless others, I have been deeply troubled by the news stories about boys and men of color who have been humiliated, harmed, or tragically killed by law enforcement officials in situations where it is hard to believe the same thing would have happened if they had been white. As these cases add up in the public awareness and our legal system fails to address them in ways that seem fair, it is not surprising that the frustration, fear, and grief about the lack of racial justice in the United States have once again erupted into outrage and widespread protests. It is also not surprising that law enforcement officials feel unfairly labeled as “killer cops” when most of them are doing their best to serve their communities under very difficult circumstances. I feel tremendously grateful for their willingness to put themselves in harm’s way for public safety – and believe that we all need to figure out how to work together to create a safer, more just society for everyone. “In any relationship, whether it is individual or social, it is important to understand the experience and therefore the perspective of the other person. Understanding is NOT the same as excusing. Instead, knowing why someone does what they do helps us be effective in setting boundaries about unacceptable behavior and in working towards change. ‘In other words, understanding someone’s perspective does not necessarily change what you do but how you do it. If you need to set boundaries, it will work far better if you do this in a way that communicates compassion rather than blame. “When people are from a culture or race that has been dehumanized for generations over hundreds of years, we should be able to respect their right to be angry. Yes, we can set boundaries to stop them from expressing that anger in destructive ways. We can do our best to redirect their anger into constructive action. “We all participate, often unknowingly, in allowing different kinds of oppression. For example, when I tried to take my mother for a walk in her neighborhood in her wheelchair after she had had a stroke, I was angry when I found that the curbs had not been made wheelchair accessible. But before this time, I had never noticed how the curbs made accessibility so much harder for people using wheelchairs and had unintentionally colluded with a system that did not make this a priority by doing nothing about it. “My blaming anyone for being angry about being harmed by prejudice is as if I beat you with a bat and then blamed you for bleeding on my carpet. In order to create better understanding, we need to be careful of what we label as “violent.” It is important to remember that blocking a road or building might be massively inconvenient and illegal – but this is an act of peaceful civil disobedience, not of violence. Destroying property, threatening physical harm, or assaulting others are violent acts – and it has been heartening to see how many of the thousands of protestors who are peacefully demanding change have spoken up or acted physically to stop those in their midst who started to act violently. No matter who you are and who “they” are, looking at people through a lens of fear alters perceptions in ways that makes dangerous reactions more likely. Here are some actions we can take to help create the better understanding needed if we are to have greater justice and more safety in our society. 1. Advocate for community partnership policing. We can learn best practices from communities that are being successful in reducing violence – and these practices all seem to come back to better communication and greater connections between police officers and members of the communities they serve as well as safer ways of responding to suspicious or dangerous behavior. In Richmond, a California community with high poverty and crime rates, rates of violence have dropped after officers got out of their patrol cars and started walking the streets, going to community meetings, and asking people how they can help with concerns. A headline in the September 6, 2014 Contra Costa Times announces, “Use of Deadly Force By Police Officers Disappears on Richmond Streets.” The article describes how, in addition to closer connections with community members, Police Chief Chris Magnus has implemented a number of reforms to prepare officers to handle crisis situations and use alternatives to deadly force. All communities and police departments deserve to have this kind of support and leadership. 2. Support citizen involvement in police departments and the legal system. Thank our law enforcement officers for what they do well, and establish advisory committees that provide oversight when there are problems. Ask if you can ride along with a patrol officer to learn what their jobs are really like. Invite them to community meetings to discuss concerns. Ask elected officials to provide funding for training, body cameras, and other resources that can increase visibility and reduce injury or death. Ask questions about the legal systems that are in place both for police and for the public – and, if they seem inequitable, lobby for changes in the law or the implementation of the law. Vote for people and policies that best represent your values. 3. Be prepared to take action if you witness abuses of power or other unsafe behavior and you can do so safely. Most forms of violence and abuse thrive in secrecy and silence. These are less likely to occur if the people involved know that their behavior is being noticed and will be reported. If it is safe for you to do so, you can use your smart phone to video, standing well away from what is happening. However, no matter how upset you feel, if you have children with you, remember to put their safety first and leave if you possibly can. Write down notes as soon as possible of any details of what people were wearing, the license plates of any cars, the names of any stores, where they were standing, and what they were saying or doing. You can do this on your smartphone or paper. Call 9-1-1 to report an emergency if you fear someone might get hurt. You don’t have to judge what is happening – or who is right or wrong – just describe what you are seeing or just saw. 4. Notice and speak up against harmful prejudice. Prejudice is not the same as oppression. 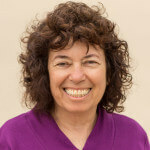 According to Lillian Roybal Rose, “Oppression happens when prejudice gets into systems in ways that diminish people’s power to make choices to improve the quality of life for themselves and their loved ones. In other words, prejudice becomes instilled into the laws, rules, regulations, policies, curriculum, and practices that govern our daily lives.“ The word “prejudice” simply means to “pre-judge”, and it is normal. All of us have negative feelings of automatic discomfort or fear about some kinds of differences. All of us have positive feelings of automatic trust or caring because of other kinds of differences. Staying aware of our own prejudices can help us to make better decisions about our actions. We can assess when our prejudices are based on reality by asking ourselves questions. Is this person just looking or acting in a way that I don’t understand or find upsetting – or is this person acting in a way that is truly potentially dangerous? Am I trusting and liking this person just because of familiarity, position, appearance, or charisma – or is my trust based on what this person is actually doing? By understanding when our perceptions are biased and treating people as being of value even when their differences make us uncomfortable, we can prevent our prejudices from turning into oppression. Don’t ignore, repeat, or go along with words or actions that treat people as less worthy because of their race, abilities, gender, age, class, sexual orientation or identity, political views, religion, mental health issues, size, or other differences. Work to create a positive social climate in your family, school, workplace, places of worship, recreational groups, and neighborhood. Coach children and teens to speak up as well as modeling this yourself. 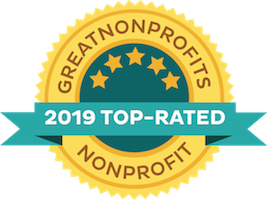 See Speaking Up About Putdowns and Creating Positive Social Climates to Prevent Bullying: Tools for Adult Leaders for ideas about how to do this. 5. Know what to do if you have an encounter with law enforcement officials – and teach young people how to stay safe. Know Your Rights: What to Do If You Are Stopped by the Police, Immigration Agents, or the FBI provides useful information from the American Civil Liberties Union (ACLU). Even if you feel that your rights are being violated, remember that your top priority must be to make safe choices in the moment. Stay calm and respectful even if others are rude. Leave calmly if you are allowed to do so. Keep your hands empty and visible so officers can see that you do not have a weapon. Avoid sudden aggressive moves or language. Try to defuse the conflict by being very polite. Try to document what is happening so that you can address the injustices later. Turn on the video camera of your phone. Ask bystanders to witness what is happening and to film it if they can. Know how to get help by calling the ACLU or other people who are in a position to speak up for you. Recognize that alcohol or drugs can impair your ability to stay calm and make safe choices – and might harm your credibility if you file a complaint. Practice these skills for yourself and with your children. 6. 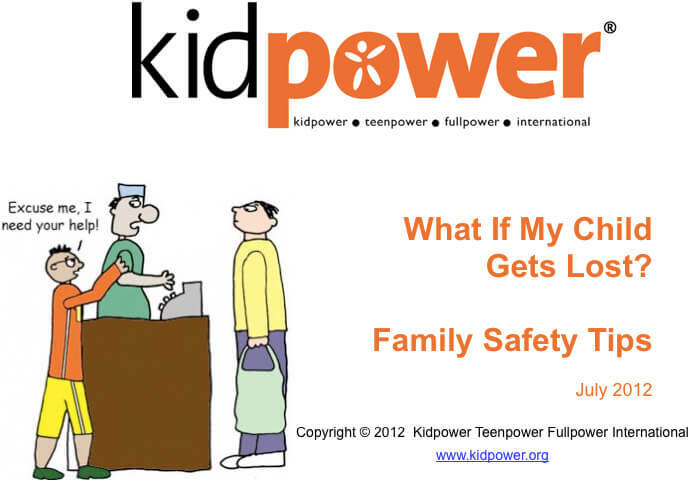 Know what is happening with your kids and coach them to use safety skills in their daily lives. Young people need our adult leadership to protect them from harm and to prepare them to take charge of the safety and well-being of themselves and others. They need to know that we believe they should be treated with safety and respect – and that we expect them to act safely and respectfully towards others. If they face oppression because of prejudice, this is not their fault. However, we want them to know how to stay safe and make wise choices even when others are being very unfair. If you fear something bad happening to your kids, worrying and lecturing about the problem can make them anxious without making them safer. Instead, focus on what you want them to do and coach them to be successful in rehearsing the actions you want them to take. 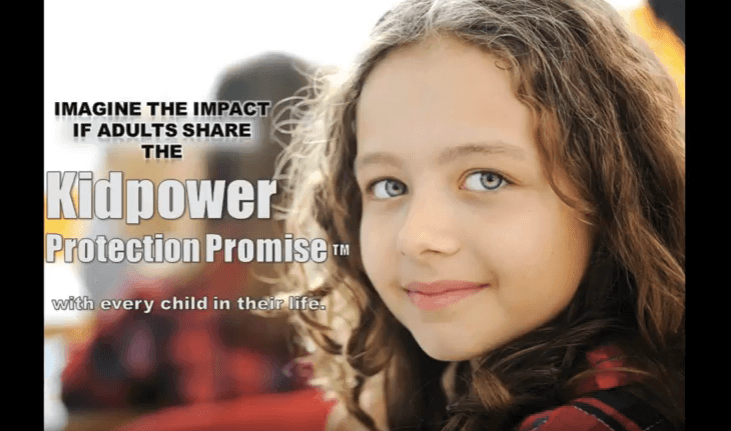 See 7 Kidpower Strategies for Keeping Your Children Safe video series and article, the Kidpower Protection Promise, the Kidpower Put Safety First Commitment, and The Power of Positive Practice. The key in preparing young people to make safe and wise choices in the heat of the moment is to keep practicing skills until they become habits. For example, most of us – myself included – have triggers around authority and don’t like being told what to do. Our triggers around authority can prevent us from recognizing a reasonable boundary from an appropriate person, especially when it is stated clumsily, causing us to make things worse. Coach kids to ask for what they want or need using positive language with calm confidence – and without having an edge in their voices or demanding body language that is likely to trigger a negative response. Practice with them how to act calm and respectful even if they feel very annoyed or upset inside because someone is speaking to them in an authoritarian and insulting way. Practice with them how to set boundaries both in person and online – and how to move away from trouble on the school yard, in the neighborhood, and on the Internet. We are less likely to have problems with people out in the world if our hands and faces are relaxed, neutral, and visible, so practice how to do this. Rehearse how to recognize and take action to stop bullying and cyber-bullying, as well as what to do if they are approached by a law enforcement official. Practice how to be persistent in getting help from busy adults and how to shout for help in an emergency. Model and coach young people to Put Safety First in the choices they make, even if this is embarrassing, inconvenient, or offensive to them or others in the moment – and show and guide them in advocating for lasting change in ways that are safe and effective. 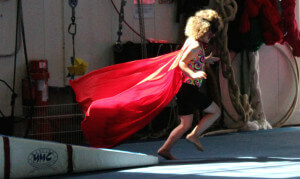 Kidpower welcomes a diverse group of people of all backgrounds with many different perspectives about current events. Our shared common ground is that we are all deeply committed to safety and respect for everyone. Staying in charge of what we say and do, getting involved, setting boundaries, upholding values of fairness and integrity, moving away from trouble, getting help, and practicing instead of worrying are all tools to keep people emotionally and physically safe – and can help us to work together to face prejudice with compassion and determination in order to create greater justice and safety for everyone in our society. 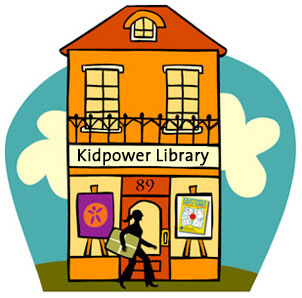 To learn more in our extensive free online Library, child protection and personal safety books, and workshops, please visit www.kidpower.org and www.InternationalChildProtectionMonth.org. 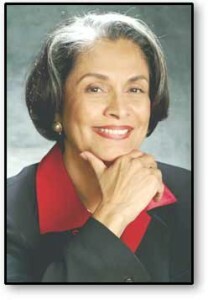 To learn about the inspiring story and work of Lillian Roybal Rose, visit www.roybalrose.com to see her excellent publications. Her work is relevant and important for people regardless of race – and her stories and insights are tremendously valuable.